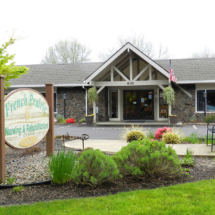 FRENCH PRAIRIE is proud to serve Woodburn and our surrounding communities. Located at the northern end of the Willamette Valley, halfway between Portland and Salem, we serve an area that is a mix of rural and small town charm but also is known for its multicultural diversity. 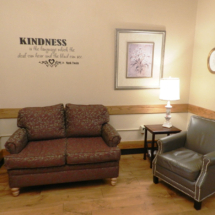 French Prairie mirrors the community with a culture that is welcoming and supportive of those for whom we provide care. At French Prairie, recovery is our specialty. Our team is devoted to your needs and offers nursing and therapy programs to assist with your recovery. You’ll enjoy activities that ease you back into a regular routine and an attentive staff who will encourage and support you. 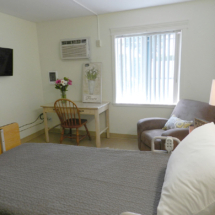 French Prairie also offers an ideal care for residents who need personal support and health management on a longer-term basis. Our room selection includes private and semi-private bedrooms. The facility is located just off Interstate 5 on Evergreen Road in Woodburn. We accept Medicaid, Medicare, and most insurance and managed health plans. 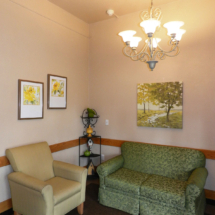 We work collaboratively with Silverton Health, Salem Health, the Legacy and Providence Healthcare Systems as well as Independent Hospitals in the greater Willamette Valley Area. We are also proud to be contracted with the Veterans Administration, offering support and service to those who have served our country. 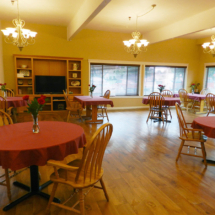 French Prairie offers more than just 24-hour nursing care, we cater to both the physical and emotional health of our residents and patients. Our care teams work together to create personalized treatment plans to help patients through their care journey. We strive to provide industry-leading outcomes through coordination of all aspects of your care.